Independent school celebrates first bnai mitzvah in 46 years – J. Students have spent their Sunday mornings at the Palo Alto School for Jewish Education for 46 years. But not one has ever participated in a school-sponsored, collaborative b’nai mitzvah service. 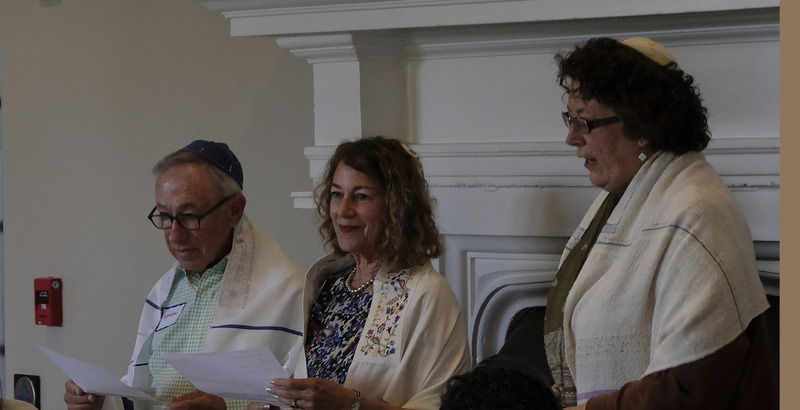 On May 9, that changed when the independent Hebrew school celebrated a milestone — the b’nai mitzvah of three of its students. “This was a dream of mine for a long time, and to see it come to fruition was just amazing,” said Cathy Taylor, director of the school. 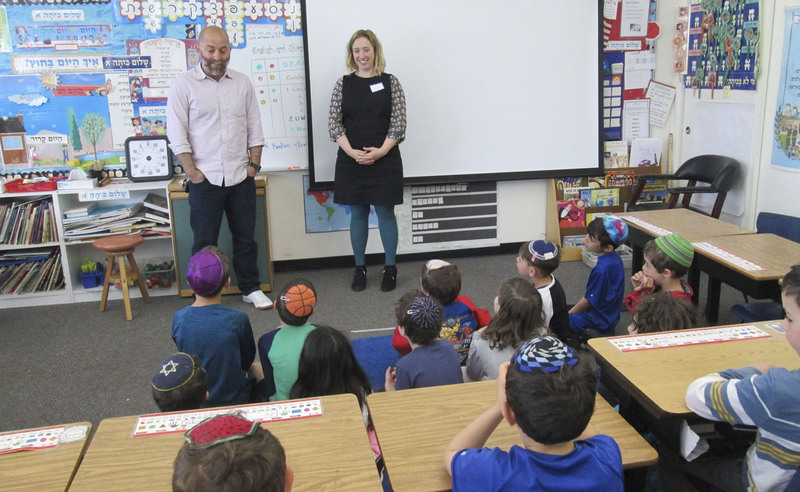 The Palo Alto School for Jewish Education is an independent, nonprofit Sunday school that serves mostly unaffiliated or interfaith families. Classes are generally focused on Jewish culture, history and values. Jenna Goldberg reads Torah during her bat mitzvah at Hillel at Stanford. 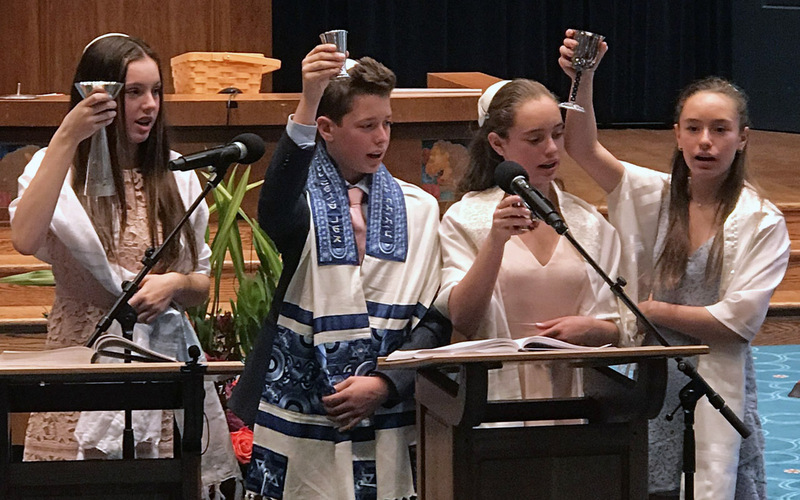 About 120 people attended the b’nai mitzvah service, led by students Jenna Goldberg of Cupertino, Harry Justus of Palo Alto and Joel Kitchen of Sunnyvale. “I think they felt like they were the pioneers,” said Monica Goldberg, Jenna’s mother. The b’nai mitzvah service was held at the Ziff Center at Hillel at Stanford, and was led by Rabbi Paul Shleffar. 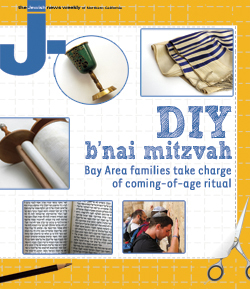 The b’nai mitzvah program, Binah, Hebrew for wisdom, began in October thanks to a grant from the S.F.-based Bureau of Jewish Education. Students attend Hebrew class at 9 a.m., regular Sunday school classes from 10 a.m. to 12 p.m. and then stayed an additional hour and a half to study for their b’nai mitzvah with their teacher, Sabrina Adler. “And then Jenna would do karate in the evenings — I don’t know how she did it,” Monica Goldberg said. The b’nai mitzvah students had multiple opportunities to personalize their rite of passage. Students were required to do a community service project, but how often and where was their decision entirely. Jenna volunteered at a community garden and with the elderly, Harry planted trees and Joel volunteered with a Little League team. They also made their own tallit, learning how to paint on silk and how to knot tzizit. Finally, the students participated in “Remember Us: The Holocaust B’nai Mitzvah Project,” a curriculum created four years ago by a Santa Rosa Jewish educator, Gesher Calmenson. “Remember Us” connects a boy or a girl preparing for a b’nai mitzvah with the story of one of the 1.5 million children killed in the Holocaust — specifically, a child who was killed before he or she reached b’nai mitzvah age. For Monica and Jenna Goldberg, it was a particularly meaningful exercise. Monica’s mother and grandmother were the only people in their family to survive Auschwitz. Taylor said she hopes the first class of b’nai mitzvah students at the Palo Alto School for Jewish Education really are “pioneers,” paving the way for more teens and more families at the school to pursue a b’nai mitzvah. For more information about the Palo Alto School for Jewish Education, visit www.pasje.org. Stacey Palevsky is a former J. staff writer.